Throughout my life, I thought that someday I’d adopt, but I resisted the idea because, in our culture, you raise your family, you work hard, and then you retire. Our three sons were grown, and my wife, Barb, and I were right on track for following the American Dream. Barb and I had raised our family, and I thought: Now we’re done! I hid my thoughts about adopting from my wife, but she was vocal about her desire to adopt. I knew that if I said anything out loud, then Barb would make it happen, so I stayed on the fence for a long time. However, through prayer, the Lord made it clear to me that I was to discuss adoption with Barb. I was about 50 years old when we had our first serious talk about adoption. When I finally told Barb that I thought we should adopt, her face lit up! As it turned out, she had already been exploring it. She said that she could contact some people to find out more, and I thought: Go ahead, make your calls, and when the agency finds out how old we are, they’ll kick us out of the office! Why would they want old people adopting kids? Privately, I figured: Surely our interest would be blocked by something, and then I wouldn’t have to do it! Our adoption caseworker contradicted my every doubt. The fact that we wanted two older children to join our family, rather than babies or toddlers, made her even more excited. My inner, undeclared thoughts were fearful: This could really happen! For me, adoption represented a total unknown. As a high school teacher and coach for 30+ years, I needed to feel like I was in control and had the answers. I was used to “leading the discussion,” and adoption pushed me way out of my comfort zone. We had international adoption on our hearts. It was our friendship with pastors in Uganda that pulled our hearts specifically to adoption from Africa. So our agency sent Barb photos of waiting children living in Ethiopia, and Barb forwarded the pictures to me. After looking at the kids, my prayer was this: Lord, this is really hard. All of these kids need homes…please make it very clear about who we should adopt! The moment when I realized that we were definitely going to move forward was when Barb and I discovered that we had both chosen the same two children from the information sent us. I no longer harbored any resistance to adopting. In 2008 we were the first family to adopt from Ethiopia through our agency, and we traveled to the orphan project (orphanage) to meet our children, Aster and Dawit, who are siblings. Attending the goodbye party at the orphan center was devastating for us…Barb and I went back to the hotel afterward and sobbed. We questioned whether we were doing the right thing—we felt as if we were pulling these kids from their family. It was clear that the children were so close to each other—just like a family—and we were going to remove these children from friends and caregivers who loved them. 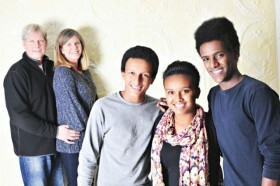 Almost every other child who lived with Aster and Dawit in Ethiopia has been adopted and has relatives who live near us. We also make a special effort to stay connected through reunions, family travel, and technology. These kids from one orphan project in Ethiopia were adopted by families halfway around the world, and somehow they are able to get together frequently in the United States. What are the odds? That was a valid question, but frankly, I was in total disbelief! Is that all they could say? As I recall, before Barb and I left that family meeting, I expressed my disappointment with our sons’ reactions. We asked the boys to pray about it and to talk about our plans among themselves. By the time we adopted our third child from Ethiopia in 2012, Yednay, there was no need to be concerned about the older boys’ reactions. Two of our sons are now married, and our younger kids were in the weddings. Our older kids love their younger brothers and sister like crazy. In fact, one of our married sons says that he and his wife are planning to adopt. You know, when we were 40 years old, I expected that eventually we would have a retirement place in Florida, but at 57, I like this life better…I really do! Don’t get me wrong, it’s harder than retiring, but we don’t sweat the small stuff in parenting this time around. Yes, there are challenges. Our kids have seen and experienced so much that we could never possibly understand, but God has protected and gifted our children in so many ways. We have the privilege of seeing the power of God manifested in their lives every day. 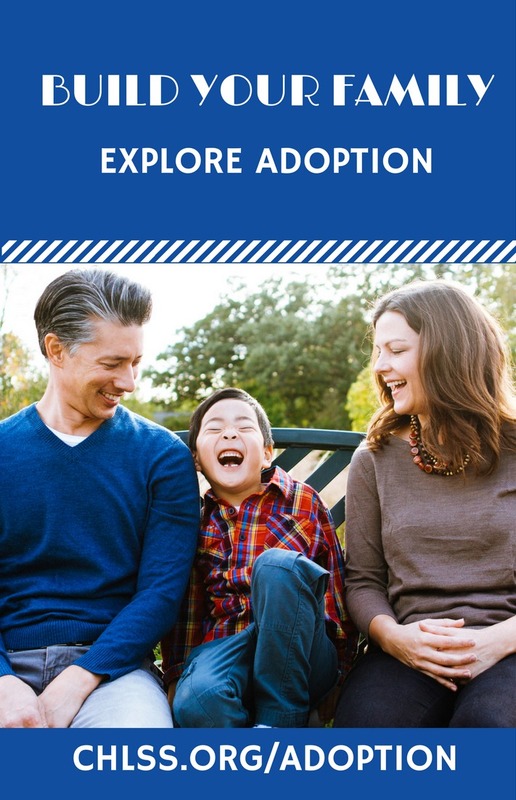 One of my friends who is also an adoptive parent—a kindred spirit—told me recently that he looks at adoption in this way: “One day in our home—even if it’s a mess—is better for that child than not giving that child a home.” I agree with him completely. That’s a wonderful way to explain this experience to others. My advice to any readers who may be older and considering adoption is this: Quit thinking about what’s going to happen. Don’t worry about tomorrow. Don’t worry about the future. Today is the day the Lord has made. Trust the Lord, and give these kids a home!